Creative animated web explainer videos are a way many companies have taken to effectively communicate their product, service or platform to their audiences. They have capitalized on these web explainer videos, as they can do so within seconds, keeping the audience curious, engaged and entertained all at once. Web explainer video refers to the explanation or detailing about a product, platform or service to grab audience attention. The web explainer animation aims to reach out the target market and generate leads. You-Nity marketing specializes in internet and social media marketing. With a constant focus on serving the customers with the best, they help with a marketing strategy that targets your customers wherever they are. The animated web explainer video shows you how You-Nity helps to market your company in the new age. Scripted is a venture-backed content creation company. It provides written content for thousands of customers that range from small businesses to large enterprises through its curated user-base of specialist writers. The animated web explainer video briefly explains how easy it is to work with scripted. One click and your content is in process, only for you to later review and post wherever you want. Modani furniture conceptualizes on contemporary and modern furniture at very affordable prices. Modani has designed award winning collections of modern sofas, bedroom, dining room and outdoor furniture. The recipe influences of eccentric furniture and classic designs from around the world fused with minimalist concepts. 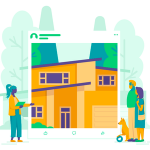 The animated web explainer video describes that the company features a variety of home furnishing and decor of different styles to build a perfect home. OpenText enables a better use of the digital world, creating a better way for more than 100,000 organizations to work with information, on premises or in the cloud. As a global leader in Enterprise Information Management, their products enable businesses to grow faster, lower operational costs and reduce information governance and security risks. The animated web explainer video gives information about the OpenText computer software. smashLAB is a creative agency in Vancouver, Canada. It is an expert consultant in digital, brand, and advertising. They have produced brands, websites, blogs, campaigns, books and apps for clients, and for themselves. They plan carefully and design a strategy that performs optimally. They are thoughtful, direct and they keep their promises. The animated web explainer video is a brief introduction to creative agency smashLAB, its focus, service areas, and reason for being. HootSuite is a Social Media Content Marketing tool that allows users to schedule and post updates to any pages or profiles on social networking sites like Twitter, facebook and many more. The system’s user interface takes the form of a dashboard and supports social network integrations with tabs organizing all the social profiles you connect to HootSuite. The animated web explainer video shows how HootSuite helps connect all your social networks, reach your customers and grow your business. adMingle is a technology enabled service helping enterprises handle their Influencer Relationship Management. 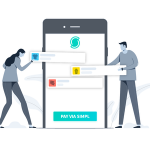 It uses Social-Internet’s state of the art Influencer Marketing Platform, serving enterprises to better connect with real people, influencers or creators, wishing to become their brand ambassadors or media partners. The animated web explainer video describes how adMingle is a new marketing platform that could turn your media influence into profit. Level Up uses a wide range of digital marketing strategies including videos, infographics and articles. With their huge network of relationships with some of the best writers, publishers, marketers and media producers on the internet, they are able to help companies in any industry, at any size. The animated web explainer video explains how LevelUp can take your business to the next level. With VerifyValid, you now have the ability to send or receive a payment electronically via the Internet. An individual or an organization can send one or thousands of cheques with a click of a button and the remittance information is included with the cheques. The animated web explainer video shows why VerifyValid is the fastest and the most secure way to send your cheques electronically. Codiki is a revolutionary new lead generation tool. It makes sure that your digital campaigns don’t get lost in the clutter of campaigns. It makes sure that your digital campaigns are viewed by the same people it is intended for, allowing a higher lead generation. The animated web explainer video showcases the new marketing tool i.e Codiki. With a track record of proven results, Onlife Health can help your members stay healthy with our wellness solutions. Onlife Health is a comprehensive wellness solutions company. Providing you with insights as well as proven success to engage your members, creating a culture of health and a seamless wellness solution. The animated web explainer video is compact and covers many areas of corporate wellness program in just 60 seconds. The Ride is Canada’s get-me-there app. It’s a free, all-in-one transportation that helps you find nearby taxis, compare cab and transit options and see car sharing locations in any city across Canada. It works everywhere and lets you see all taxis and transit options everywhere in Canada. The animated web explainer video shows how the app can help you compare travel times, costs and choose how you want to go. Curata is the leading provider of software that enables marketers to drive leads and revenue with content which includes curation to quickly fuel content engines, editorial calendar and workflow to optimize content planning and creation. The animated web explainer video provides insight into how Curata CMP allows marketers to harness the power of content creation, curation and analytics. NetSure LifeScan by Curvature is an IT asset management solution that provides in-depth assessment of your network identifying growth projections, OEM support terminations and areas to reduce operational costs. It offers innovative solutions to leverage multi-vendor and multi-generation equipment strategies. The animated web explainer video shows how LifeScan can help you identify ways to extend the life of your network. Yottaa’s eCommerce acceleration platform enables online retailers to significantly improve website performance across all devices resulting in higher conversions. It automates and accelerates the rendering of static and dynamic content resulting in fast ecommerce web pages that load instantly and lead to an improved end user experience and higher conversions. The animated web explainer video details how Yotta can help you provide optimized end-user experience on any device, anywhere in the world. Ecobank is a regional commercial bank operating in many African countries. The app positions Ecobank at the forefront of Mobile Banking in Africa, providing customers with easy and convenient banking across the continent. The animated web explainer video showcases the best of Ecobank Mobile and brand communications. IPC is a new marketing service aimed at helping SME’s with digital marketing. They build the world’s most successful consumer publishing businesses in the UK, by creating the best possible content. It is the marketing service for all shapes and kinds of companies. The animated web explainer video introduces and promotes IPC Marketing Services. Klarna is Europe’s leading provider of invoice-based payment and financing solutions in e-commerce. It offers direct payments, pay after delivery options & installment plans in a smooth one-click purchase experience that lets consumers pay when & how they prefer to. The animated web explainer video shows how Klarna provides e-commerce payment solutions for merchants and shoppers. Ofo is a non-docking bike-sharing and rental service accessible via online mobile app. With ofo, you pick up a bicycle, get where you’re going, and leave it there. No docking stations, no walking the rest of the way. The animated web explainer video portrays how simple and easy it is to access and ride bicycles with Ofo. Enthusem is a direct mail automation solution that specializes in offline to online marketing. Use their super easy web or mobile apps or trigger direct mail from CRMs like Salesforce or Velocify. It delivers exclusive, high value, personal leads. 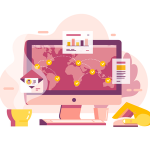 The animated web explainer video shows how Enthusem Digital Marketing SaaS solution enables users to automate, scale and track their direct mail. With the above animated web explainer video examples, it’s evident that companies are fast integrating videos in their marketing campaigns and various other touchpoints. If you are planning to develop a video, a good start is to develop a brief of what can be the tone and style for your videos. We advise you to be different and unique while you create your messaging through the videos.